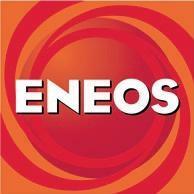 The ENEOS brand anchors Nippon Oil as the Number 1 oil supplier. ENEOS has a total of 36,000 service stations, which dominates other domestic oil companies in Japan at 29%. The closest competitor, ExxonMobile only comprise of 16% service stations in Japan. In addition, Nippon Oil leads in the Japanese gasoline market share with 26%, and produces 24% of the entire Japan’s crude refining capacity. 40% of Japanese answer “ENEOS” as the first brand that comes to mind when asked about “Service Stations” and “oil”.